Bethesda Announces Quake Champions Closed Beta | Nerd Much? The wait for Quake Champions is almost over! Bethesda has announced the game’s closed beta via an action-packed trailer. 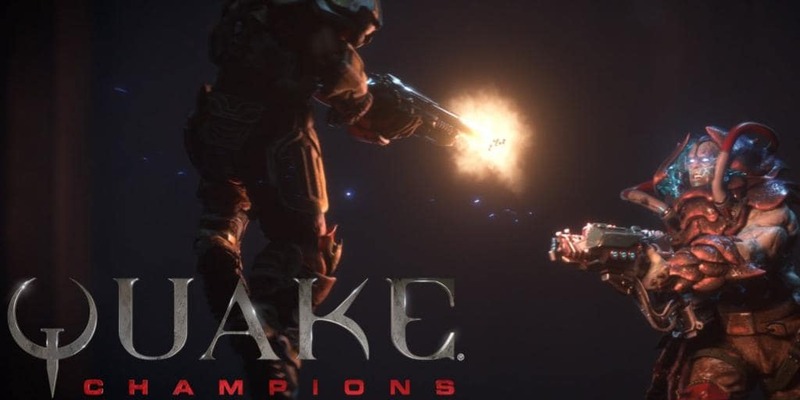 For those that don’t already know, Quake Champions is to be the next modern competitive FPS, with fun features like speed, gore for your personal pleasure, and characters with unique abilities and classes. It has been widely speculated that the game will be free-to-play, but that is yet to be confirmed, along with any console release beyond the PC. However, if you’re having trouble signing up, don’t worry — it’s just because of the heavy traffic the site is receiving. According to the official Quake Champions Twitter, just wait it out and the site will be back up soon. Hopefully, you’ll get in and have the opportunity to take part in all that awesome action from the trailer. Are you looking forward to Quake Champions? Let us know in the comments below!